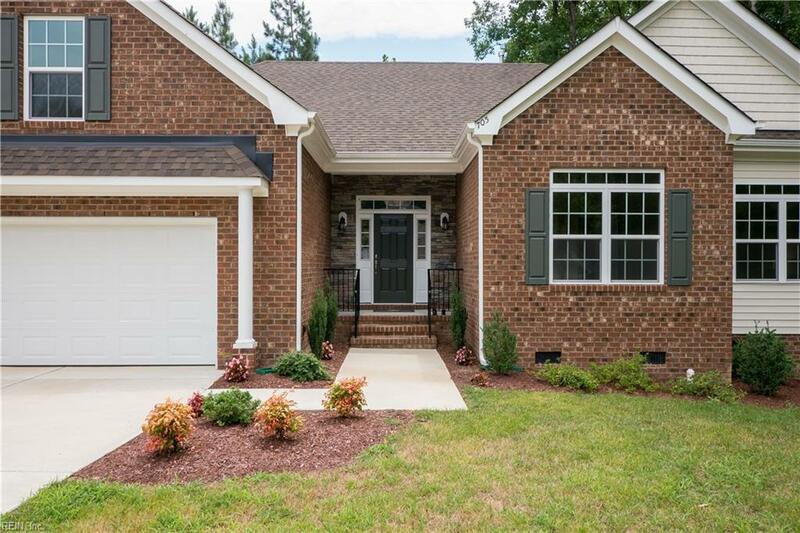 608 Marks Pond Way, York County, VA 23188 (#10238025) :: Abbitt Realty Co. The Jasmine has an open floor plan, 10 ft ceilings on the first floor plus vaulted ceiling in the dining room. Kitchen granite counter tops, breakfast bar, cabinets galore, and stainless appliances; formal dining room. Master Bedroom suite with private bath featuring wonderfully unique, spacious two-person tiled shower. And a finished room over the garage/4th bedroom/bonus room with full bath. Contingent Contract with 72 hour First Right of Refusal.